Facilities Management Environmental Services recommendations and advice from our teams in the field. Check back often for updates! Now Hiring Amazing people to join our Team! Are you Amazing? Keep Your Construction Site Clean & Under Compliance! 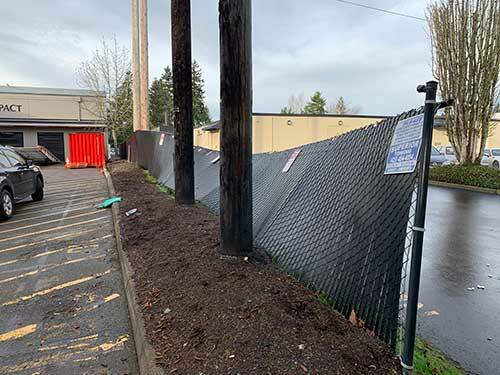 When winter weather blows through wrecking all of our hard work in our landscape and parking lots outside our business or home… you can be left feeling overwhelmed and without the daylight we had during the summer these messes can haunt us for months! The tools you use can make all the difference and can help make the oversize projects possible. 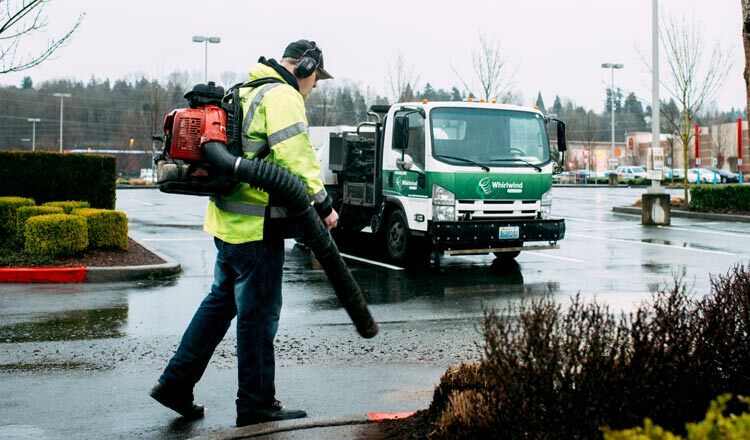 Sweeper trucks make your long entry road or your 5 acre parking lot easy to clean and without spending 4-6 hours of landscape budget to blow the lot down and not really clean it well. Without sweeping, dirt and debris turns into algae and moss which will buy you a slip, trip or fall on your site. No matter if you are a homeowner or a building owner, a personal injury claim is not the new year’s gift you want. Keep the walkways, parking lots and storm drains clean and your site will stay clean and safe all year round! 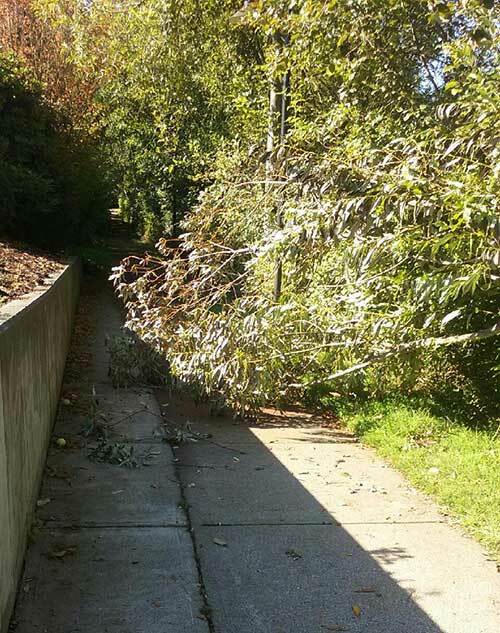 Fallen leaves can also cause other issues most of us don’t think about, especially when combined with rain, such as clogging storm drains, making roads and walkways slippery, and killing grass and other plants with washouts and erosion. Leaves left on roads and walkways can become very slippery which creates an unsafe condition in your parking lot and roadways treacherous to drivers. Slippery walkways are also a trip and fall hazard to your customers. Gutters and downspouts need to be cleaned out regularly to ensure excess water on your roof drains away from the building properly. 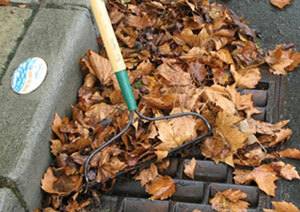 Keeping storm drains unclogged provides many benefits, including reduced flooding. Ridding the drains of leaves and other debris also alleviates pollution in local creeks since piles of leaves create poisonous gas when they build up in the underground catch basins. This gas causes oxygen levels to fluctuate to dangerously low levels in nearby creeks and streams where fish and other wildlife live. Unclogging your storm drain takes little time, but does require that you watch the drains to make sure they function properly. 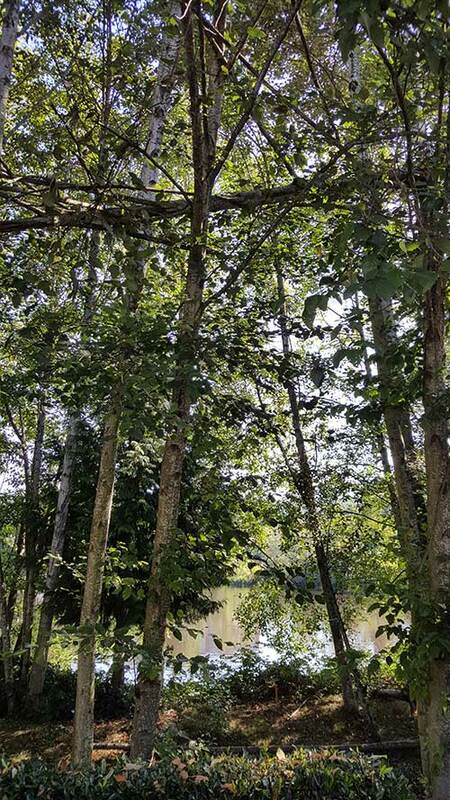 Another factor to consider about winters in the Northwest is that if you don’t keep the hard surfaces clean or debris or algae and if you don’t the drains clean that water or organic material will freeze creating hazards for your friends, family or patrons. 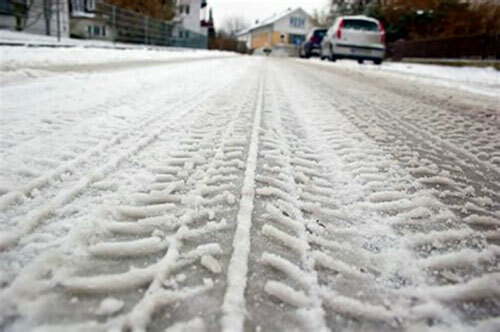 That ice will make snow removal on your site even harder and the effects from winter storms will be much worse. 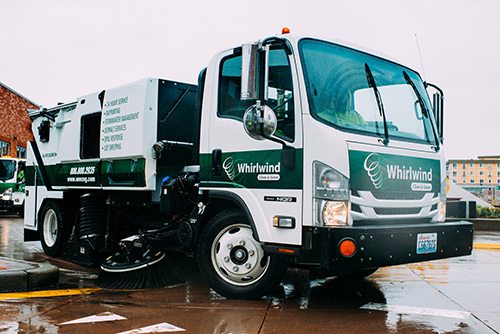 Whirlwind Clean & Green is a locally owned and self-operating 24/7 Facility Maintenance Company. Our team loves to help so please call for quotes on your maintenance needs!